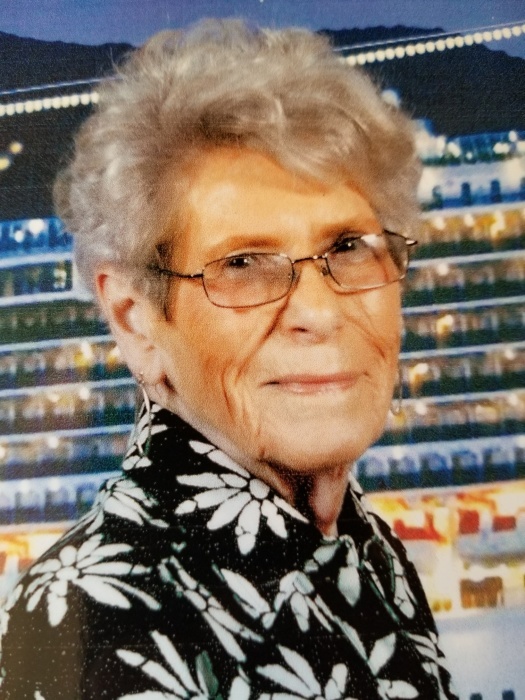 Janette Adaline Finkle, age 89, a long-time resident of Pine Plains, NY, passed away on March 28, 2019 in the Regional Hospice located in Danbury, CT. She had been living with her daughter and family in Bethel, CT, for the past three years. Mrs. Finkle was born March 7, 1930 in South Attleboro, MA, the daughter of the late Omer Charpentier and Ethel (Charpentier) Wheeler. Janette was well-known for her delicious baked goods that were shared with many in the Pine Plains area. She was an active participant in area bowling leagues and won many trophies in earlier years. Janette occupied much of her spare time knitting articles of clothing for her many grandchildren. She held various positions in the Pine Plains Central School District in both the elementary and high school. Mrs. Finkle was the Office Administrator for the staff at Pine Plains High School at the time of her retirement. Prior to her retirement, she was also employed on the week-ends at Brown & Webster Veterinarian Hospital for numerous years. Janette is survived by two daughters, Sandra Mierzejewski and her husband, Benjamin, of Bethel, CT and Donna Campion and her husband, Lanphier, of Bradenton ,FL, as well as a sister, Shirley Dzembo of Naples, FL. Mrs. Finkle is also survived by six grandchildren: Kelli Duffy of Bethel, CT; Geoffrey Sidoli of Asheville, NC; Sally McGee of Stamford, CT; Patricia Laurino of Marlborough, MA; Stephen Campion of Sarasota, FL; and Gregory Campion of Orlando, FL. She has sixteen; great grandchildren; eight nieces and nephews and eight great nieces and nephews. Calling hours are on Tuesday, April 2nd. from 10 a.m.-2 p.m. at the Peck and Peck Funeral Home, 7749 S. Main Street, Pine Plains, NY, 12567. Arrangements are under the direction of the Peck and Peck Funeral Home, 7749 S. Main Street, Pine Plains, NY 12567.